What exactly is “buy it for life” (BIFL)? We are talking about a buying philosophy that values durability, reliability and high-quality products that are built-to-last. But there are a lot of misunderstandings and myths around what is and what isn’t considered buy it for life. Check out our infographic that goes through the basic tenets of BIFL as well as some common myths and misunderstandings. 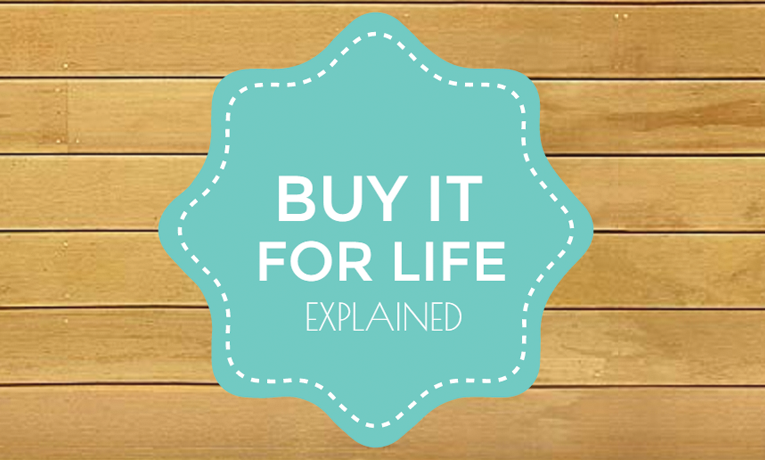 Buy it for life focuses primarily on products that are durable, reliable and high-quality. The products should have a life-span that is longer than a typical product in that category. A good example here would be a good pair of shoes that lasts decades under good care as opposed to a a pair that wears out in two years. By buying products built to last, you can avoid throwing out worn-out products as often. Not being wasteful is a primary tenet of the BIFL philosophy. Sometimes it makes more sense to buy a more expensive item once instead of buying it every couple years. For example, a $200 pair of quality pants purchased once could save you money in the long term considering you would be dropping $50 every few years on lesser quality. Buy it for life can often mean buying a product that is repairable. Many products can be made in a way that individual components can be replaced or repaired, giving the product a much longer life-span. A good example here is a pair of headphones that uses replaceable components. The Sennheiser HD25 headphones are well known for their repairability among DJ’s. Tip: Some items just aren’t meant to be “Buy it for life.” This would include fashion items which inherently change over time. Same with consumable products. Buy it for life (BIFL) strongly favors products that feature lifetime warranties or guarantees. This is a sign that the manufacturer stands by their product and values customer service. A lifetime guarantee of some kind will generally point you towards products that have better components and more strict quality-control. Darn Tough socks have an amazing lifetime guantee where they will replace any pair of socks that you wear through. For life. 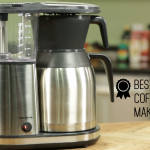 Tip: Not all lifetime warranties are amazing. Some have fine print that limit their usefulness or cap the warranty at a certain number of years. Always check on the details! While often well-made products cost more than their lesser-quality cousins, this is not always the case. There are boatloads of expensive products that are both poorly made and poorly supported by the companies that make them. One of the best can-openers costs $8 (the Ez-Duz-It can opener). There is a fallacy that many fall into where they assume that products were always better in “the good old days.” Yes, some cast iron pans from the 1950’s are better than some of them made today. But this is not a rule by any stretch. Modern techniques used by companies that value quality can be just as good (if not better) than products from decades ago. This one is a half-truth. While it is true that generally you won’t be using complicated electronic devices for decades, this does not mean that you can’t recommend tech products that are more “future-proof” or that use more durable built-to-last components. Remember BIFL does not necessarily mean that a product will last forever. 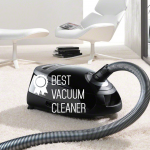 It just needs to be more durable, reliable and high quality than it’s competitors. Tip: Look for products from companies that have been around for a long time. While this isn’t a guarantee of support in the future, this generally means this is a well-run company that will be around tomorrow if you need them.